Aquaculture could be the solution to undernourishment and malnutrition in Africa. As the population grows throughout Africa and the world, we need to find new and inventive ways to feed everyone, and aquaculture might be an affordable and efficient way to accomplish the task. Aquaculture is the act of breeding, growing and harvesting a variety of animals and plants in numerous types of water environments — the ocean, lakes, rivers and ponds. This produces sport fish, baitfish, sea vegetables, algae, fish eggs and more, but most importantly, it produces food. In statistics from 2014-2016, in sub-Saharan Africa, an estimated 233 million people were hungry or undernourished — and, as the population grows, that number will grow with it. But with advances in food production, the amount of individuals who fall into the undernourished category can be greatly reduced. Aquaculture plays a role in reducing the amount of hungry individuals by providing a relatively inexpensive protein source. Fish also contribute fatty acids that keep our brain and heart healthy. With wild populations of fish dwindling because they have been commercially exploited, aquaculture gives us the opportunity to continue to produce and consume fish on a level that is sustainable for the population growth. Aquaculture also benefits wild fish populations because it allows them to grow and recover after overfishing. The types of environmental impacts a fish farm has depend on how the farm is run. However, with good practices, aquaculture can have minimal impacts on the environment. Aquaculture can also contribute to local economies and create jobs. 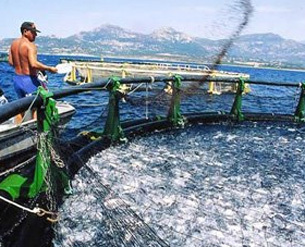 There are several different types of aquaculture. Mariculture is the cultivation of fish in the open ocean, in enclosures or in tanks filled with saltwater. Flounder, whiting, shellfish and algae are often the species grown in this sector. There is also algaculture, which produces various types of algae, generally microalgae, which can then be used for various commercial purposes. In Africa, the largest aquaculture practice has been for a new strain of tilapia, and the practice has led to feed research and ways to make the fish grow faster and become more nutritious. Another benefit of aquaculture is the fact that it requires less resources than other types of agriculture. This makes it possible for anyone to learn the skills to be an aquafarmer. With the rise of aquaculture in Africa, several groups have created partnerships to ensure a successful aquaculture environment. One of these is World Fish, which has a research and training facility in Egypt that has already helped train numerous people in the practice of fish farming. In June 2017, a conference will be held in Cape Town to highlight the benefits and needs for aquaculture in Africa and the potential the practice has to help various people throughout the continent. Other associations, including the African Association of Agricultural Economists, have partnered with various organizations to ensure the success and sustainability of aquaculture for disadvantaged communities in Africa. The goal is to find ways to improve policies and productivity when it comes to aquaculture. Experts expect aquaculture in Africa to grow over the next decade. The industry is expected to be of particular help in feeding communities where wild fish populations have dwindled. It will also employ locals to work at the farms, including women. Creating jobs means the potential to turn low-income areas into economically stable regions that support families. As the world population continues to grow, hunger and malnutrition will increasingly be problems. Aquaculture offers a way to feed the world and create employment. The growth of aquaculture in Africa will give the continent the means to benefit themselves and the world. Megan Ray Nichols enjoys discussing environmental issues and other related topics on her blog, Schooled By Science. You can also follow her on Twitter @nicholsrmegan .